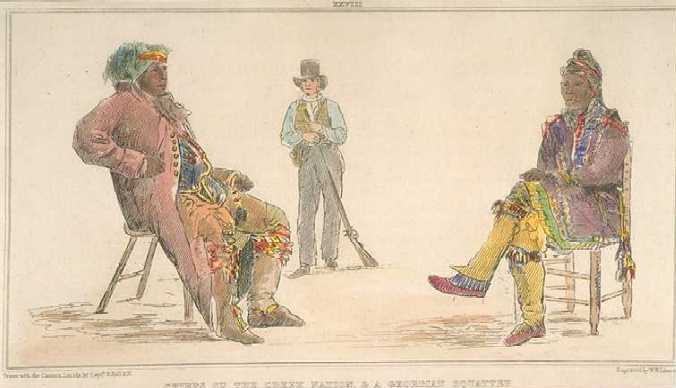 late 1820s view of a Georgia militiaman with Creek Indians, by Basil Hall. 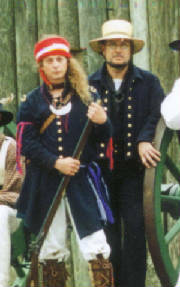 Captain Nipper in frock coat at Fort Foster. 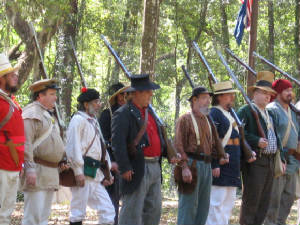 The Florida Frontier Guard, and Friends, at the Battle of Fort Cooper, March, 2007. 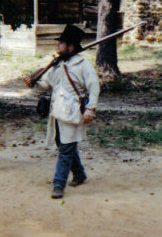 Archie surveys the battleground at Westville, GA, 1999. 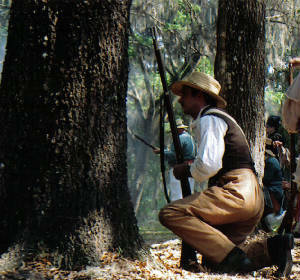 Matt Milnes takes cover at Ft. Cooper, 2005. 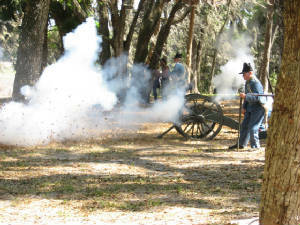 The Florida Frontier Guard is often ably suported by the regulars, including the artillery! Capt. 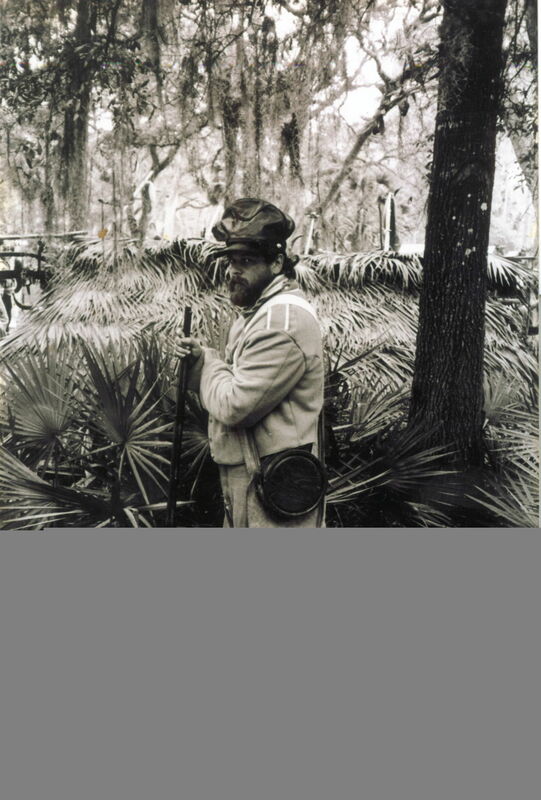 Nipper isn't proud of it, but he served as an enlisted regular at one time; here is the proof! 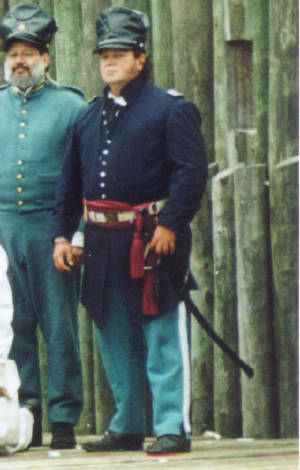 Eric Steffy "playing it up" as an chief of the Creek Indian Regiment, at Ft. Foster. 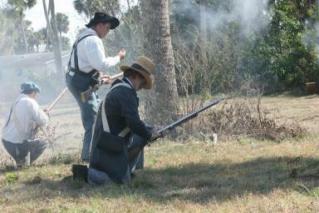 Fritz Wilder, acting sergeant at the Battle of Okeechobee, February, 2009. 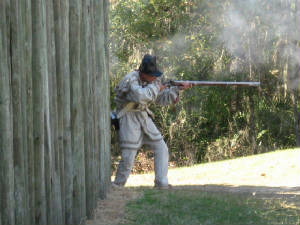 Jerry Marinaro gives Seminole attackers Buck and Ball at Fort Foster skirmish, February, 2007.